Good AGM yesterday . We reluctantly said goodbye to Celia as coordinator, but we will still see her on walks. We said hello to Lynne as coordinator. If anyone can fill Celia’s shoes it will be Lynne. 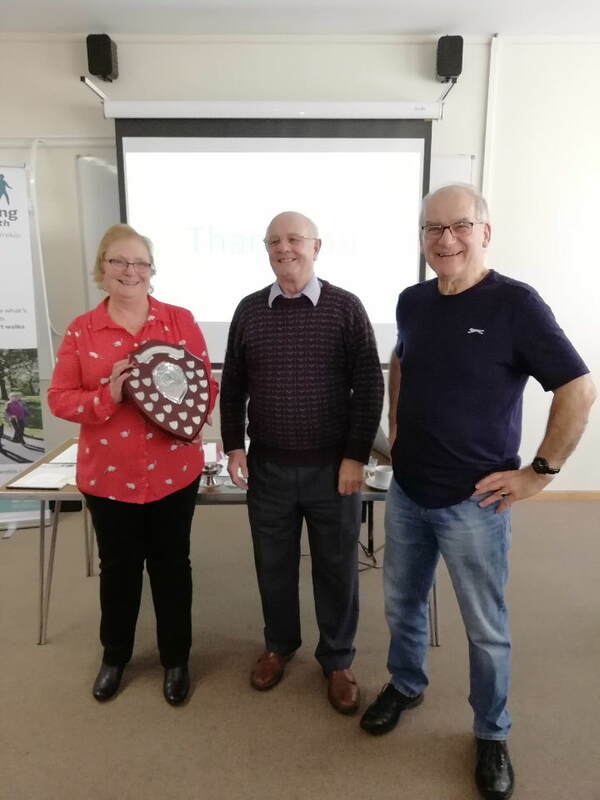 The committee had already decided to award the Alf Clewes shield to Lynne and Chas jointly before she volunteered. 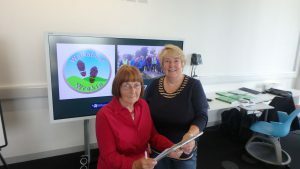 We presented Walk Leader Certificates to a record number of new leaders. Guest speaker John Box gave an interesting presentation on Telford: The Forest City at 50. Then we celebrated Telford at 50 and us at 5 as a volunteer led scheme with cake. 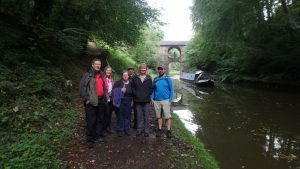 Are you busy all week and unable to join one of our walks. We do have a walk on a Sunday morning at 10.30am. 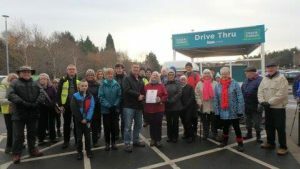 It starts at the back of Tesco’s car park ( the walk leaders have Hi Viz vests on, so easy to spot) all you need to do is come along about 10.20am, wear sensible shoes e.g. trainers or walk boots and go for a gentle walk, working up an appetite for Sunday Lunch! John and Harry will be happy to meet you. Our AGM for 2018 will be on Thursday 15th November 2018 beginning 10.00am in Meeting Point House, Telford Town Centre. All are welcomed. Congratulations to Anne Marie Davies who completed her 1000 miles walked in 2017 Challenge on 19th December 2017 on the ASDA Tuesday walk.Anne Marie had set herself a challenge to walk 1000 miles in 2017 and she used the Walking for Health Telford & Wrekin walks to help her achieve this goal. 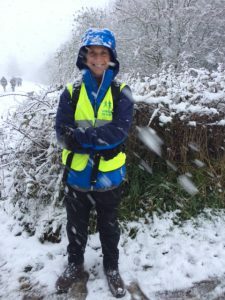 Anne Marie knows more about our scheme than most, she was our first voluntary coordinator and this year she has walked on nearly all our walks at some time or another. Well done Anne Marie. Here she is receiving her certificate of achievement from Steve our chair. 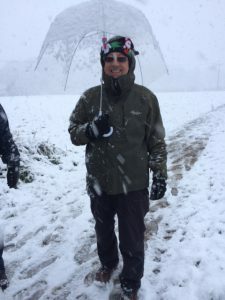 On Friday 8th December 2017 Telford had its first snowfall for many years, but this did not stop 11 hardy walkers joining the Shawbirch walk at 10.15 from the Shawbirch Medical Centre. They had a great time and no doubt threw a few snowballs!! 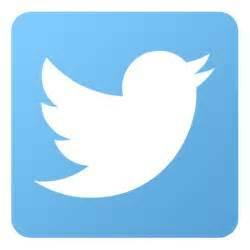 We are learning to use it but please follow us and pass on our messages, check for any news. 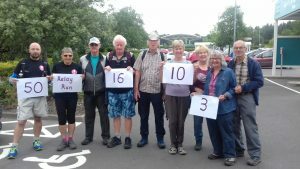 For the sharp eyed amongst you, you will have noticed that we have now changed our name to WALKING FOR HEALTH – TELFORD & WREKIN. The final decision was taken at the first Committee meeting after our last AGM. 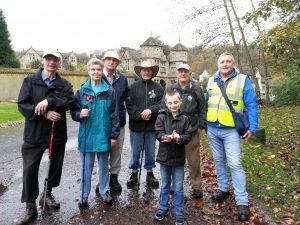 The name change will reflect what our walks are about, walking to get or stay healthy. 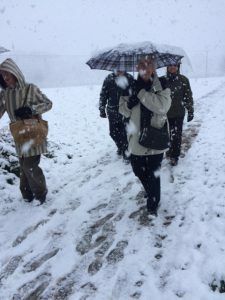 There will be no change to our current walks. 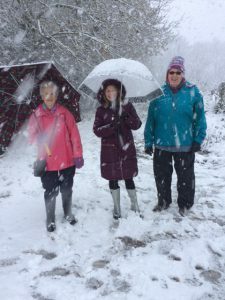 There has some confusion with people including local doctors who thought that Walkabout Wrekin was walking up and around the Wrekin, therefore they were reluctant to recommend our walks!. Our official launch will be in January 2018 but in the meantime we have the task of changing all the names, web and email links. We held are 4th AGM on the 29th September and the UCT, Telford Centre. The event started with a talk on the Limestone mining in and around Lilleshall given by David Adams and the business end started. Steve Shaw acting chairman, thanks all the committee, walk leaders for their support and Tom Coward, for helping us to build our new website. 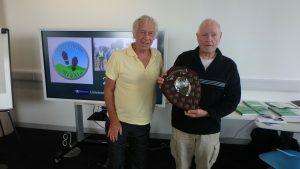 Harry Hall received the Alf Clews Shield award for all his dedication to Walkabout Wrekin over the past years. Tessa Tyson was presented with her Walk Leaders Certificate for successfully completing her walk leader training. 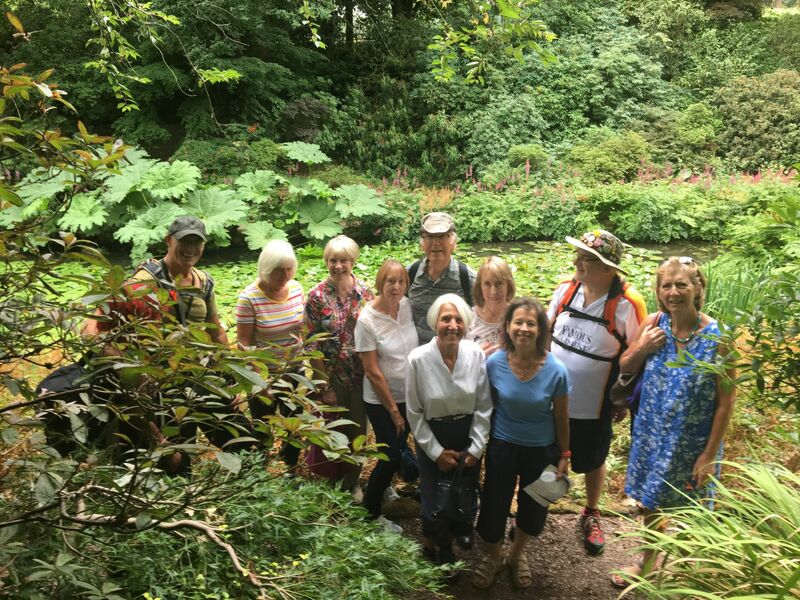 Tessa leads the Leegomery walk, so why no join her? A vote was taken on changing the name to Walking for Health ???? ?, with the committee being allowed to choose the final name. 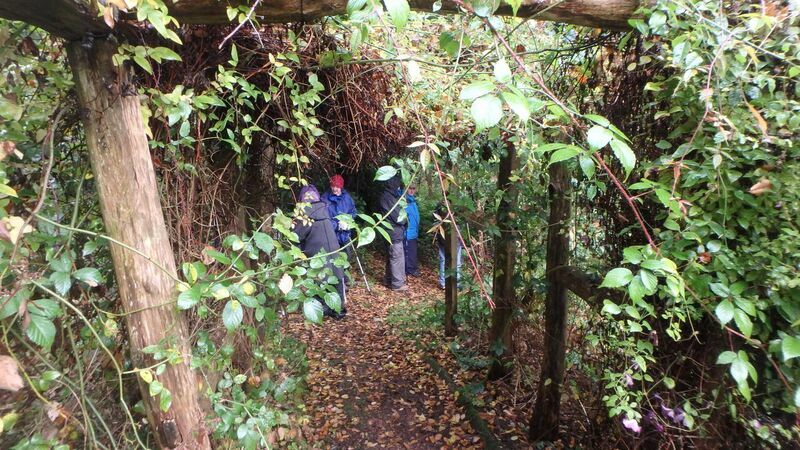 This would reflect the nature of our walks as some people including local Doctors, think that we walk up the Wrekin!!! So watch this space for name changes!